5.0 颗星，最多 5 颗星If you can decide just buy the book you won't regret it. Love the way Monte writes, it is almost like listening him speak. Love watching the videos of Gardener's World. Finally someone who is as passionate as I am about gardening and plants. 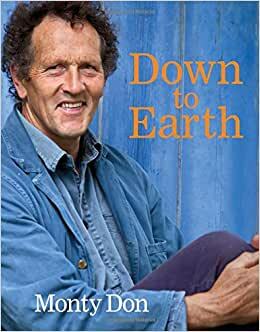 So wonderful to read...a must for Monty Don fans and also anyone who enjoys gardening. Even if the climate is very different from the one you garden in. 5.0 颗星，最多 5 颗星Who doesn't love Monty? Monty has such a sweet way of presenting vital gardening information. He makes it a joy instead of a chore. 5.0 颗星，最多 5 颗星Great buy! I absolutely love this book. I read a little everyday and constantly find myself looking in here to answer certain questions. Since gardening, to me, isn’t a perfect science; I like to follow the advice of Monty Don! A total wealth of knowledge!